Published August 10, 2017 at 2280 × 1308 in Musicplay – Should I Get the Digital Resource Package or Just the Website?. 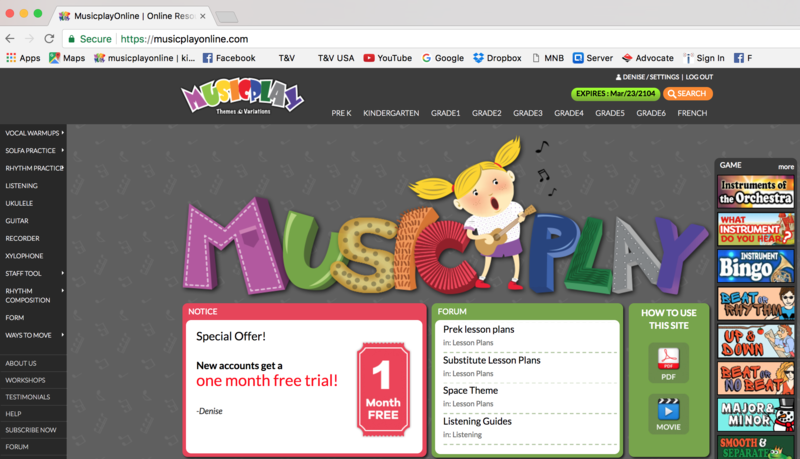 Musicplay online is an affordable online elementary music curriculum. This is a resource for music lesson plans and activities for teaching preschool and K-5 music classes. I was at the Edmonton workshop in August and you talked about some apps that you know of that you use with Autistic children. You said that you would give the information out at the end of the workshop but you forgot and so did I. I was wondering if I could get that information from you now. I have a Grade 1 and 5 student that struggle in music and I’m hoping that these may work. Thanks so much! Hi Beth – I sent out the email a few minutes ago. I forgot that I was also going to send a link to the sample recordings of the octavos in Dropbox, so I’ll send that email now.